DCIM solutions need to seamlessly integrate with IT and facilities management systems to collect, maintain, and ensure the most accurate information. Accurate, up-to-date information regarding assets and their interdependencies is critical to the initial population and on-going management of your data center infrastructure. The scope of the data collection project depends on the amount of data that needs to be collected, and how easily that data can be gathered based on where it is currently stored. Often the first step in obtaining this information is to use “auto-discovery”. Auto-discovery provides a way to automatically search and identify data center assets, IT and facility infrastructure, and their associated asset information, via standards-based protocols over a network. 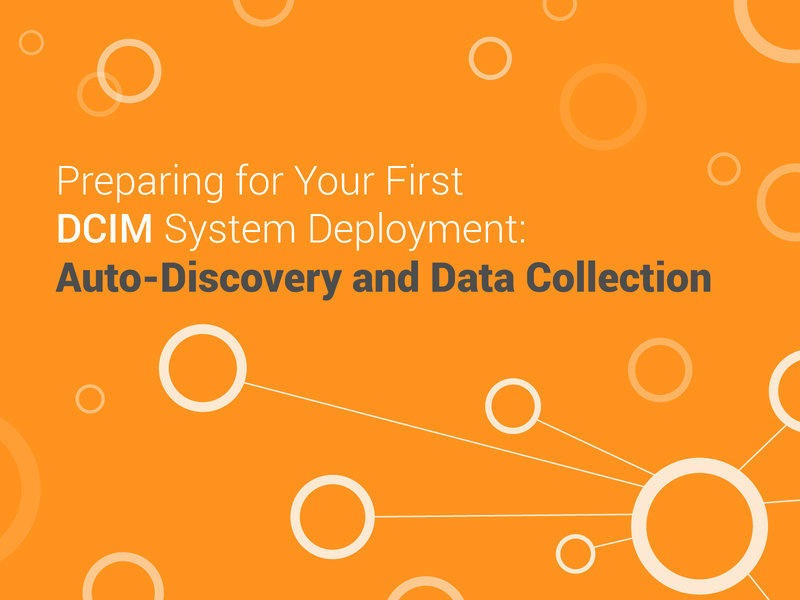 But, while having a system and process that automatically populates a comprehensive set of data into a DCIM solution is desirable, there are many reasons why auto-discovery fails to fully meet this need. Human error, inaccuracies, and the inability to poll for specific information often mean that manual updates and management are needed. Some important data is simply not discoverable. Anything less than 100% will require manual effort to close the gap and achieve full knowledge about all data center assets. To help you further understand the efforts involved in collecting data and populating your database, Sunbird has created an easy-to-follow guide that explains how DCIM uses auto-discovery to initially populate the DCIM database, the gaps that may exist thereafter, and the steps needed to ensure data accuracy for a reliable DCIM database. After all, the more organized and “clean” your data is the easier your transition to a DCIM will be. Download our eBook here to start your database efforts, or click here to speak to a member of our DCIM Professional Service team that can help you reach your DCIM potential.